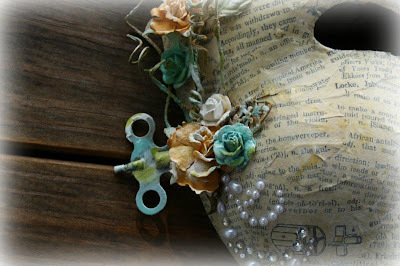 Shimmerz Paints: Shimmerz Venetian Mask Mini Class! Shimmerz Venetian Mask Mini Class! Today I am so excited to bring you our Guest Educator, Miranda Edney, and her FIRST mini class with Shimmerz! What she is about to show you is soooo cool. Here is a little sneaky of what you will be creating in Miranda's first part of this three day mini class!